If you fancy living in an urban dwelling riddled with high-rise buildings, Hong Kong might just be the place for you. Hong Kong and Macau make up the Republic of China’s special administrative regions. A UK crown colony since 1842, Hong Kong has reached a level of westernization though it remains steadfast to its Chinese roots. 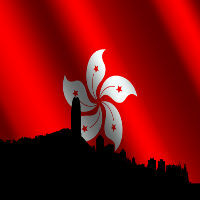 From these roots, Hong Kong has become one of the foremost international financial centers with a capitalist economy. It currently has a “one China, two systems” policy in place. Hong Kong is predominantly subtropical with an inclination for monsoons. Winter ranges from December through early March, with air that’s usually cold and dry. Summers and springs are usually rainy, humid, or hot. Autumns are moderately warm and sunny. Tropical cyclones might affect Hong Kong during early autumn and summer. Despite being a small island, Hong Kong has been a stable land for hundreds of years. Landslides after a huge downpour are, however, common. It is coldest in Hong Kong during January with temperature averaging 16.1 degrees Celsius. July is hottest, averaging 28.7 degrees Celsius in temperature. The country is located just south of the Tropic of Cancer, making the climate is humid subtropical climate. Hong Kong’s Basic Law serves as the local government’s constitution. The government rules over the whole island except for some specified areas such as locations for foreign relations and national defense. A Chief Executive Committee comprised of 800 individuals appoints a Chief Executive who would be recognized as head of both territory and government. Consequently, the Chief Executive appoints seats in the government’s legislative and executive branches. At times though, as these positions are elected by the electorate. Legislative Council of Hong Kong (LegCo) is a unicameral legislation with the power to approve or deny new laws along with the Chief Executive. This Constitutional Document provides the basic outline of the governance of Hong Kong under the People’s Republic of China. Hong Kong is known for its generous tax laws. Many economists attribute the country’s rising prosperity to this fact. The taxes in the island have remained low even as of today. Countries around Asia and even the US are trying to emulate Hong Kong’s tax implementations. The tax laws in the city allow charitable tax deductions of up to twenty-five percent of one’s annual income. The deduction for interest for mortgages is up to 13,000 US dollars. There are tax deductions for retirement plans, costs for the caring of the elderly, and costs for college education are also applicable. Residents do not pay taxes for their Social Security. General and Value Added Tax are also absent from their system. Businesses pay only taxes for their profits earned and employees only pay taxes based on their salary. Im not too fimiliar with taxes over here since ive only been working for 1.5 years, but taxes are very low and its what draws foreigners to come to hong kong. Modern facilities for health needs are present throughout Hong Kong. Overall, Healthcare in Hong Kong is excellent by international standards. Western-trained doctors are common so the need to fear for your health is unnecessary. Credit cards are not widely accepted by medical facilities. However. It might be best if you bring extra cash wherever you go in case of emergencies. If you are not yet recognized as a resident of Hong Kong, inquire about the health insurance policies in your country if it would cover your medical expenses abroad. It might also be best to steer clear of street foods until you familiarize yourself to which ones sell clean products that are fit for consumption. Hong Kong’s flat land is only 200 square kilometers wide. Due to this and the ever-expanding population of the territory, Hong Kong has been focusing on developing high-rise buildings. The most expensive apartment rentals in Hong Kong’s lush districts are priced up to 60.90 US dollars per square meter. Since the population rise on Hong Kong is estimated to be 85%, there are many different alternatives for you to choose from – you just have to find the one suitable for you. Despite the current financial downturn, the Hong Kong property market is slowly gearing towards recovery as Hong Kong shows a steady increase in sales and prices in the real property sector. Popular for being a bustling metropolis, Hong Kong offers different shopping centers for different types of people – from malls and department stores to open-air markets. Hong Kong’s malls are usually occupied by designer haute couture boutiques and fine dining restaurants. The island boasts some of the trendiest malls in the world. Department stores selling generic brands are also present in every mall. Open-air markets, on the other hand, are perfect for bargain hunters. These markets are where the real action takes place and where the shop-a-holic could satisfy the desires of a shopping spree. Hong Kong is a shopper’s haven as it carries name brands as well as other items for sale. It is much cheaper compared to London, Singapore and Tokyo but there are many fakes that abound in the area. Hong Kong is recognized as an expensive city to gain residence. Perhaps not as costly as Moscow, Seoul, and Tokyo – but still costly enough to burn a hole in your pocket if you are not used to the territory’s way of living. It is true that the every day prices in Hong Kong are high compared to others. However, the main aspect that can cripple the ordinary individual is apartment or house rent. But Hong Kong still remains a city of good finds if you know where to look and know how to bargain. this post has probably gone unanswered because there has been a very similar thread going for about a month, although your situation with the baby is more expensive and more complicated than mine. A rule of thumb about costs in a new place is to figure out all expenses then double that figure. In my lifestyle, if I had to, and using that formula, I would need at least 109 k HKD a year just to eat. Adding to this a rough figure for rent for me of 150 HKD a day, the total rises to 164,000. This does not include transportation or clothing. check the other thread for clothing. for transport check the cost of the getting the “Octopus Card.” The average ticket for me when I am in HK is between 5 and 10 HKD. I would take about one ride on a bus or MTR every other day averaging to 1900 a year. That is a budget lifestyle in Kowloon. I would not recommend living in Kowloon with a baby because Kowloon is extremely crowded and dirty. It might be frustrating pushing a baby carriage around in that environment. Much of Central is the same. If you have a good apartment away from the hubbub of the street, however, you might manage it. My guess is that you have an adequate amount of money to live comfortably anywhere in HK. How can I find the location of Hong Kong Government Retirement Office?